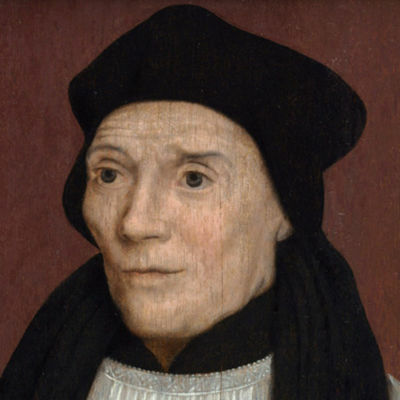 St. John fisher was a Yorkshireman, who was born in 1469. He died for his Faith on the headmans block at Tower Hill in 1535. The son of a mercer at Beverley, John Fisher went to the school attached to the minster there. He showed such promise that his widowed mother sent him to the university of Cambridge while still a boy of 13. He was ordained priest at the age of 22, and played a big part in the revival of learning at the university, eventually becoming its chancellor. When he was 35, Henry V11 nominated him Bishop of Rochester. He accepted with reluctance, but devoted himself to the care of his diocese with thoroughness, exceptional in those days. He visited the sick in their hovels, distributed alms personally, and was a generous host. He found time to write books against the doctrine of the Lutherans, and was held in Europe to be one of the most holy and learned men in Christendom. The young King Henry V111 himself boasted that no other prince or kingdom has so distinguished a prelate. With great vision, St. John Fisher saw the evils of the time and the dangers threatening the church. He was himself a reformer, but a reformer of abuses and evils and not a deformer of religious truth. At a synod called by Cardinal Wolsey in 1518 he boldly protested against the worldliness, laxity and vanity of the higher clergy. Many of them had won their positions through secular service to the King and were tempted unlike St. John Fisher to try to serve two masters. Some nine years later Bishop Fisher had no hesitation in upholding the validity of King Henrys marriage to Catherine of Aragon when other men in office were temporising and yielding. As a member of the House of Lords he denounced measures against the clergy which were being forced through the Commons. With them, he exclaimed it is nothing but down with the church. In Convocation he protested when that assembly was called to agree that Henry V111 was Head of the Church of England. He managed to secure that the words so far as the Law of Christ allows were added to the form of assent eventually signed. St. John Fisher was now in great danger by because of his devotion to religious principle. Two attempts were made on his life. His friend St. Thomas More in 1532 gave up his position as Lord Chancellor of England because of the hardening attitude of the king. In 1534 an Act was passed providing for the legitimate heir to the Crown, Princess Mary, to be excluded in favour of Anne Boleyns children. Fisher would have agreed to this, but a form of oath provided under the Act was worded to make it practically an oath of supremacy that Henry V111 was head of the Church of England and not the Pope. He refused to take the oath, and was immediately arrested and imprisoned in the Tower of London. Six months later Pope Paul 111 infuriated Henry V111 and hastened St. John Fishers death by misguidedly making him a Cardinal. Let the Pope send him a (cardinals) hat, the king declared. I shall provide that whensoever it cometh he shall wear it on his shoulders, for his head he shall have none to set it on. The result of his so-called trial was a foregone conclusion, for the kings word was the only thing that counted. 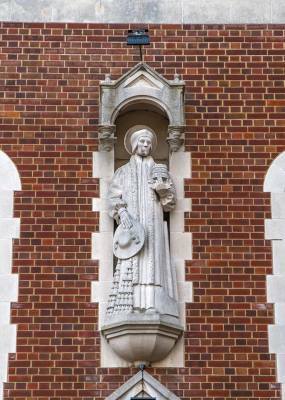 St John Fisher was condemned to death on 17th June 1535, and beheaded on 22nd October. Opening his bible before his execution he found the words that Our Lord spoke before his passion: This is life everlasting that they may know Thee, the only true God, and Jesus Christ whom Thou hast sent. I have glorified Thee upon earth. I have finished the work that Thou gavest me to do. Fortified, he walked to Tower Hill and forgave his executioner. His head was severed from his weak emaciated body with one blow from the axe. His body after lying exposed all day was thrust without rites of the church into a hole in All Hallows churchyard, and his head was impaled for fourteen days on London Bridge with the head of the Carthusian martyrs. A fortnight later it was thrown into the river to make room for that of St. Thomas More. 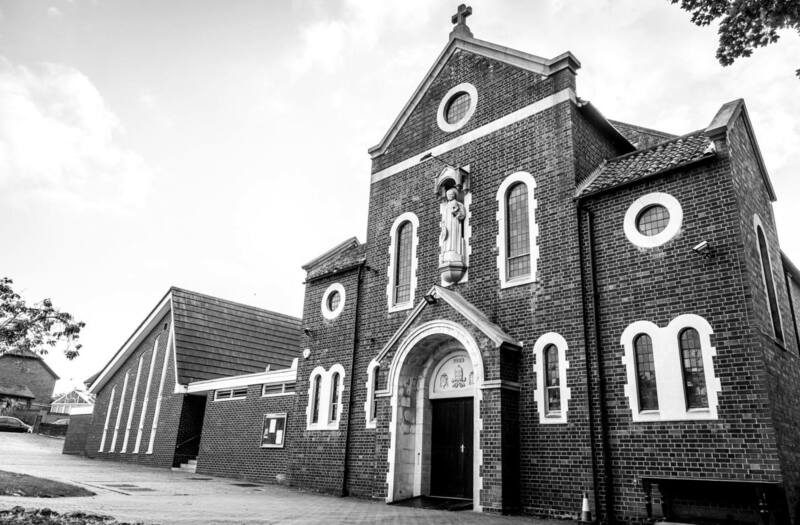 In May, 1935 St. John Fisher was canonised among the saints of the Church. We pray to him to ask Our Lord to bless this parish, its church and its parishioners, and to keep us strong in the Faith for which he died.